Haaretz columnist Yossi Klein joins a list of academics and commentators who conclude that the 'settlement enterprise' is irreversible. Haaretz columnist Yossi Klein, known for his staunch support for Israeli surrender of Judea and Samaria to the Palestinian Authority, has joined a long list of academics and commentators who conclude that the Jewish presence in the areas claimed by the PA is irreversible. In fact, Klein’s estimation of 350,000 Jews in the West Bank is low by about 15%. 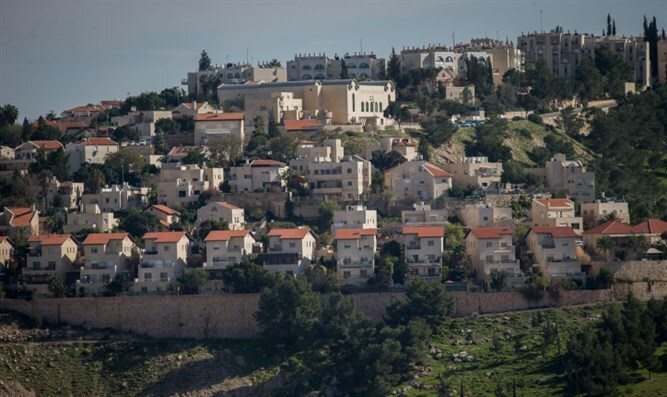 The annual survey of Judea and Samaria's Jewish population came out in March with precise data from Israel’s Ministry of the Interior showing 420,899 Jewish residents in the 'West Bank' as of Jan. 1, 2017. Those numbers do not include the estimated 300,000 Jews in the eastern neighborhoods of Jerusalem such as Pisgat Zev and Har Homa which are also considered part of Judea and Samaria by the Palestinian Authority. The report includes numbers for each town in Judea and Samaria, and is available to the public for download by signing up here.